This morning was another beautiful day (I definitely didn’t need the wet weather gear I brought...), with wonderful conditions to see wildlife and ....plastic. As usual, we saw lots of litter and old fishing gear and collected what we could. Alnitak and its volunteers pick up on average 4 cubic meters of waste each week. A lot of the rubbish out there is in the form of microplastics, just below the surface, so what we are fishing out, whilst useful, is just the tip of the iceberg. Today we picked up several helium balloons, one very long thick piece of rope, another polystyrene box, several water bottles, and another old buoy. 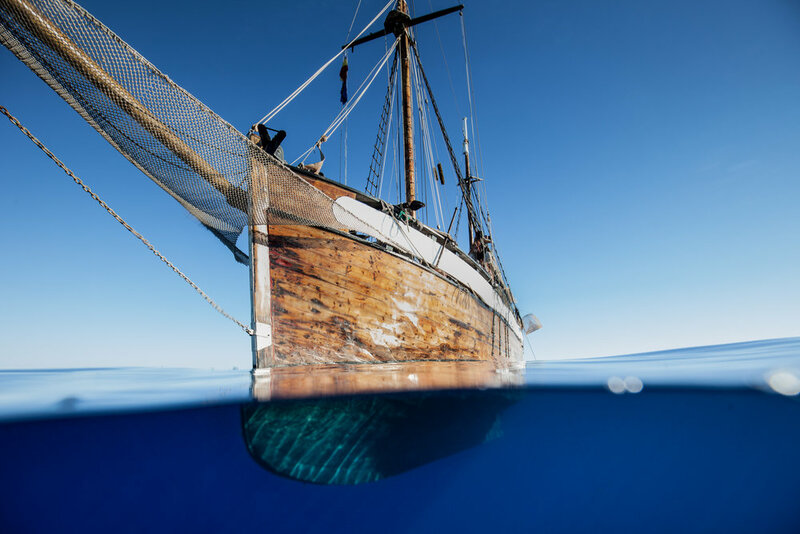 One of Alnitak’s other successes has been to convince all the trawlers in Andalucia and Mercia to pick up plastic and waste, rather than actually dropping it overboard themselves. This initiative has now spread across the whole of Spain and the Med. It seemed like a usual morning on-board…. we spotted a small pod of Risso’s dolphins and several blue-fin tuna jumping through the air this morning. So when I heard Doris say “is that a shark?” I thought it was just a joke. It wasn’t just any shark, this was a rather large 5m long Great White! There is something very special about seeing any creature in its natural habitat. Numbers of sharks have plummeted in these waters due to the long line fishing for them, which only stopped about 10 years ago, but they are still being hunted for their fins. A recent journal by Marine Policy has estimated that every year, 100 million sharks are killed by humans. Whilst there had been rumours of the odd sighting of Great Whites over the last few years, nothing had been confirmed or documented. None of us, even the Alnitak core team had expected this! We watched the shark for about 70 minutes, there was barely a sound on the boat, except the odd gasp and a shout if we lost sight of it and then found it again. It was very fast and it took all 12 of us to keep an eye on its movements. The shark seemed very calm. At one point there were several Shearwaters, a common bird in this area, sitting on the surface of the water, near the shark, and Nimes joked that it would leap up and eat them. But of course that didn’t happen, as sharks eat mostly at night. 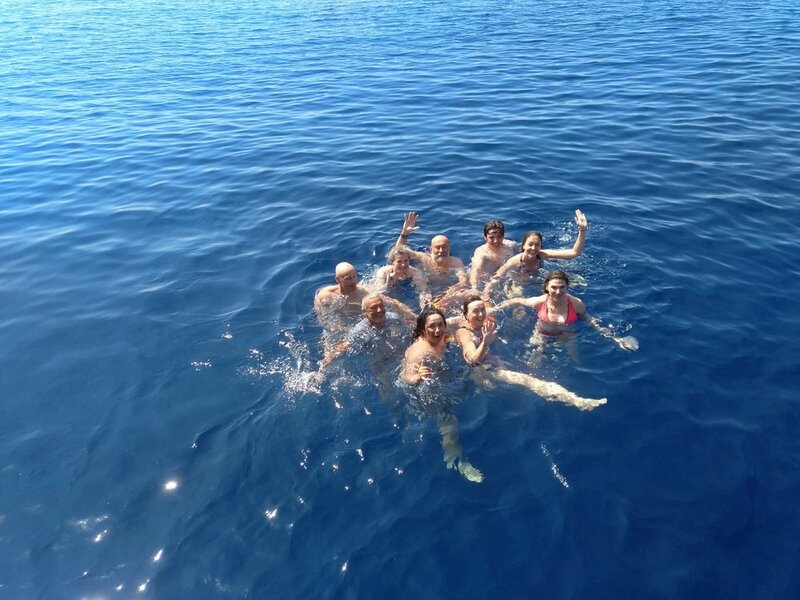 A few of us jumped into the zodiac, a motorized dinghy, to see if we could see where it might have gone, but after 20 minutes out there, we realized that it had got bored with us and left. Whilst we were out on the water, Fernando, a wildlife documentary maker who is also part of the core crew, filmed us talking about the experience of seeing the shark. Fernando is Galician; from an area of north west Spain. He has made 113 wildlife films for many different organisations including National Geographic, Terramater (an Austrian documentary producer) and the BBC, after being inspired as a child by Cousteau and Attenborough. So it was just amazing to have him onboard to film moments like this. He has been working with Alnitak for several years, as he said he fell in love with the soul of Toftevaag after after his first trip. I can understand that now, the boat is very special. 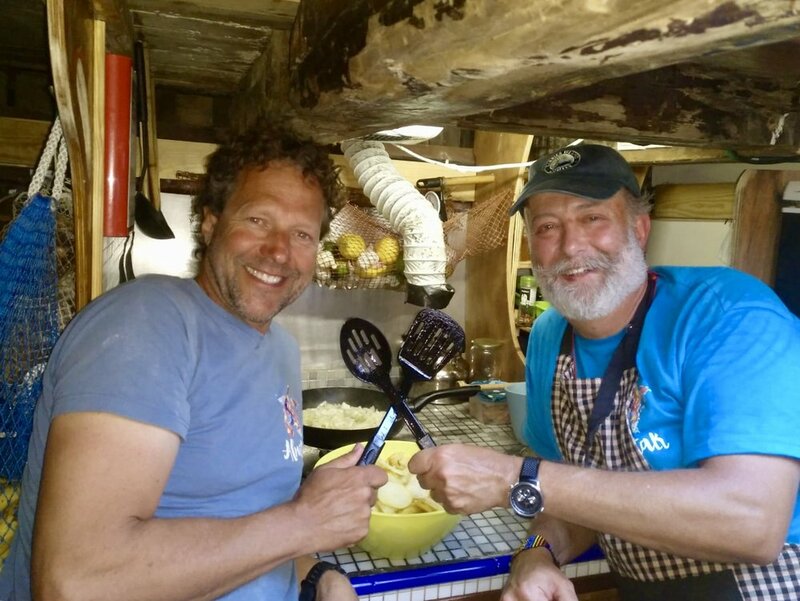 As well as being a great film maker, he´s also a lot of fun to have around and a great cook, whipping up traditional Galician dishes that he used to eat as a child. He made pasta all’aglio yesterday which is a very simple Italian dish of roasted garlic and olive oil with spaghetti, it was delicious! Fernando has done a lot of filming this week of course, but what has struck me is, that despite so much experience, he gets extremely excited about everything we are seeing from this boat – not just this shark, but the birds we see, and any of the creatures we spot. What an incredible day! And there were celebrations again that evening, back at the bar in Cabrera. Spotting such an animal in the wild can only be good news. Data collection has made enormous positive changes over the last 30 years. Alnitak has been behind the establishment of 14 Marine Protected Areas (MPAs) and supported the set up of many more, by providing spatial modeling of the oceans to policy makers. Protected areas means that key species are preserved and pollution levels are measured. The data we collect as volunteers has also helped to change some key maritime traffic routes, including in the Alboran sea, an area used by whales during mating season. This has significantly reduced the number of whale collisions with boats. You can see the impact of the work by the sheer variety of species we are seeing.